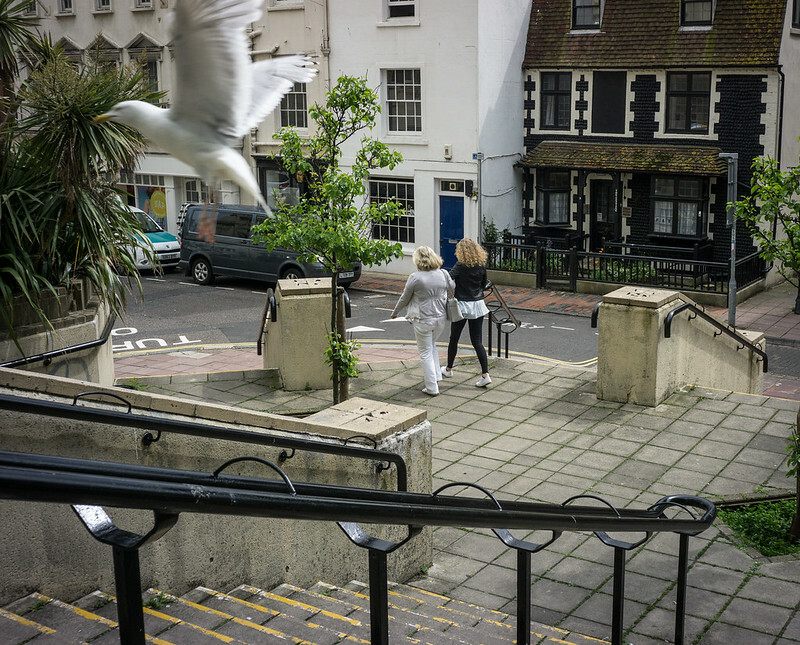 I often include a bird in my photographs. If I can, reasonably close up with some detail rather than a distant blob. I suspect birds have no concept of height. If we had 55 meter long legs, blocks of flats wouldn’t seem tall. In a similar way, birds, having the ability to move in three dimensions relatively quickly, would not percieve height in the same way as us. To them, they may as well have infinitley long legs; to launch themselves off a tall cliff would be no bigger deal than one of us slipping off a chair to walk across the room. In a similar way, to them, the wider area would seem as a mere room to us. That distant tower block, just the bedroom, the neighbouring rooftops, merely another part of the bed. Those far hills, no more than another corner of the house.